Happy Halloween!! 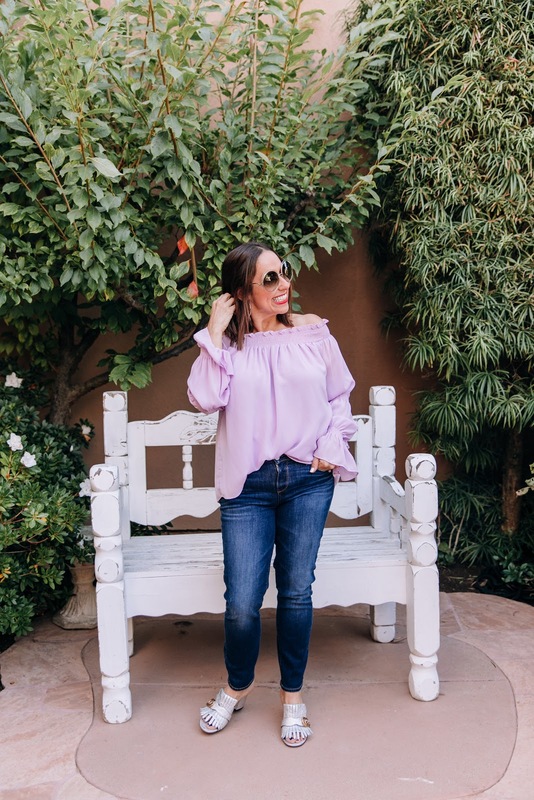 I wanted to share my Instagram favorites from my October looks!! You can click on the links to see the original posts to read more and shop these looks. I love wearing metallics all year long. You can read all about metallics in this post. 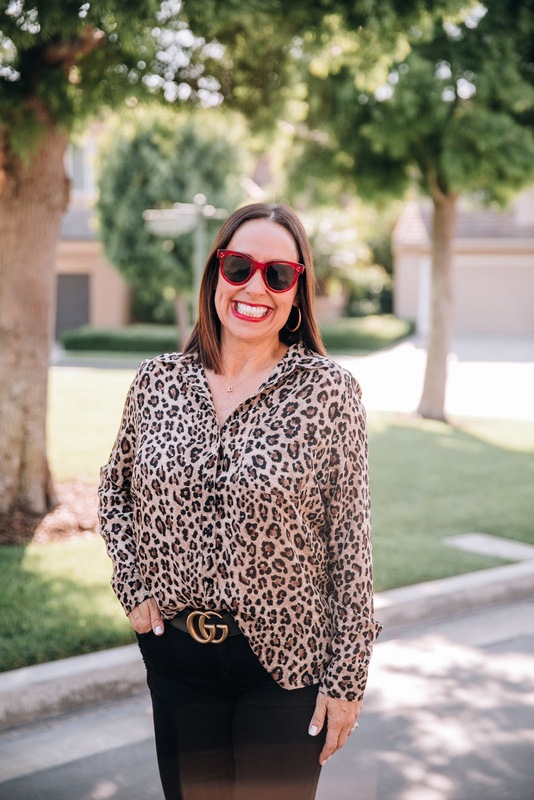 It's all about leopard this fall season. You can read all about it in this post. I love everything floral!! 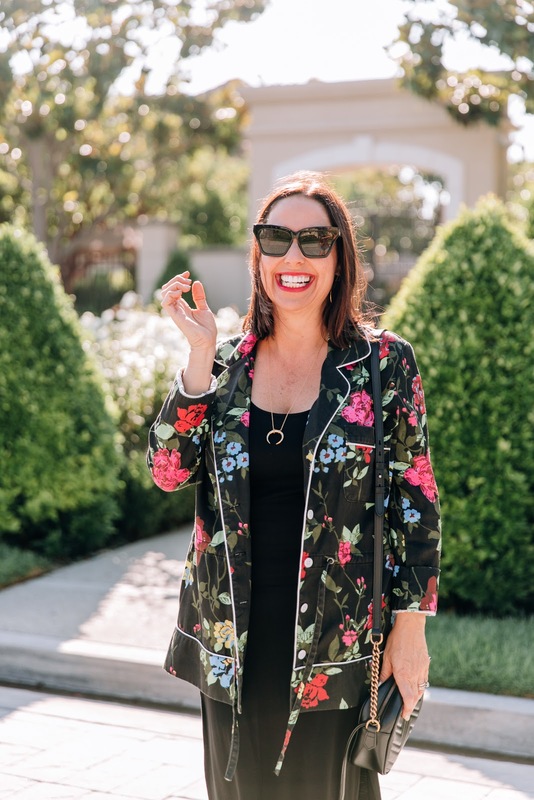 You can read all about this floral jacket in this post. 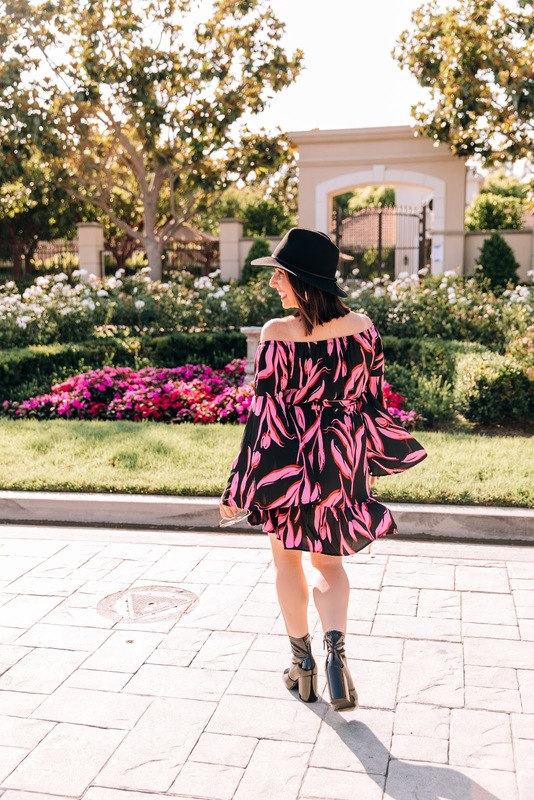 I love a great floral dress and this one from Vici is one of my favorites. You can read more about it in this post. I had such a lovely time during my evening with Toyota. You can read all about it in this post. How fun is this color? You can read all about this looks in this post. I love everything about distressed denim. You can read all about it in this post. Thanks to Kara Nixon for photos. You can click on the links to shop the posts. Happy Reading!!!! I am such a denim lover-- all kinds of denim. Whether it be jeans, jackets, skirts or shorts, I love it all. But I think my current favorite denim is anything distressed. I absolutely love some rips or uneven hems. I think it adds some flair and edge to an otherwise conservative look. I found these cute jeans at the Nordstrom sale. 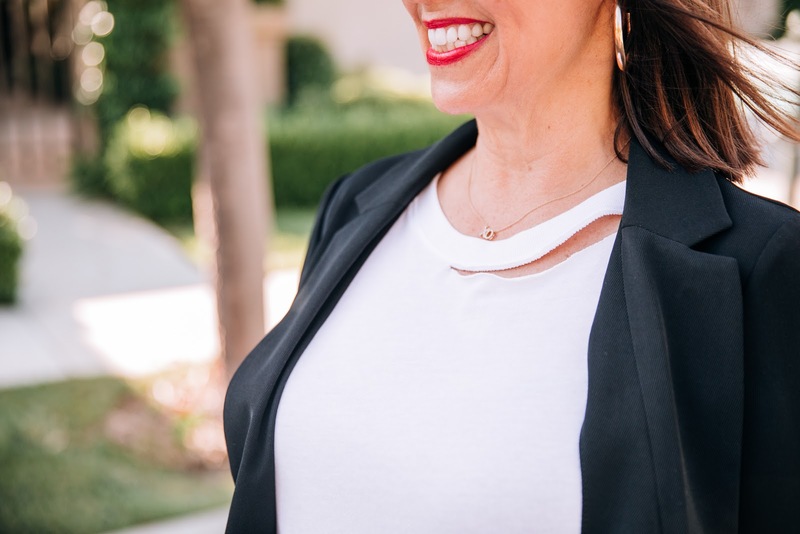 I paired them with this white tee and my new favorite black blazer (did you know I have a blazer problem-- I love them for all looks). And I love adding heels to distressed jeans to give them a more feminine feel. I completed the look with a perfect black clutch and some of my favorite jewelry from @shopg2g. So this fall and upcoming winter season, invest in a great pair of distressed denim. I can't wait to hear about your styling techniques. Thanks to Kara Nixon for photos. You can shop this look by clicking on the links above. Happy Reading!!!! It is starting to finally feel like fall in the OC. There have been many teasers with this crazy weather, but this time I really think fall is here to stay (hopefully). 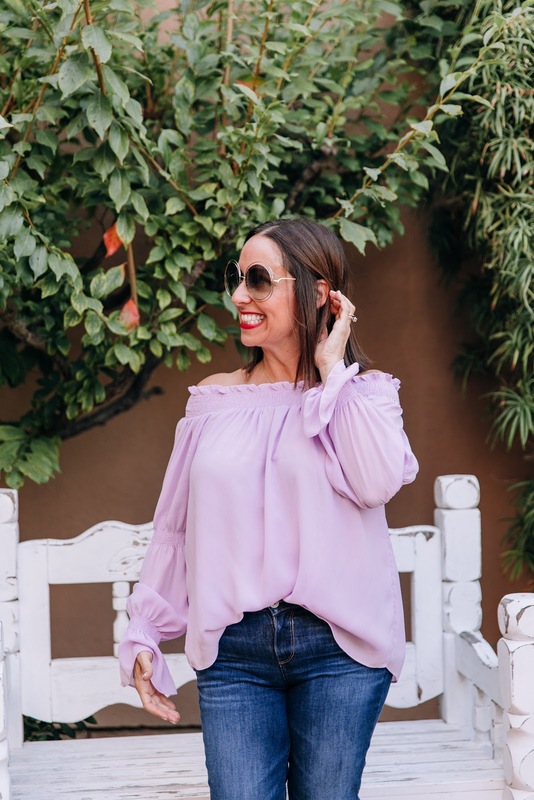 And the perfect way to start fall is with a great off the shoulder top and some skinny jeans. 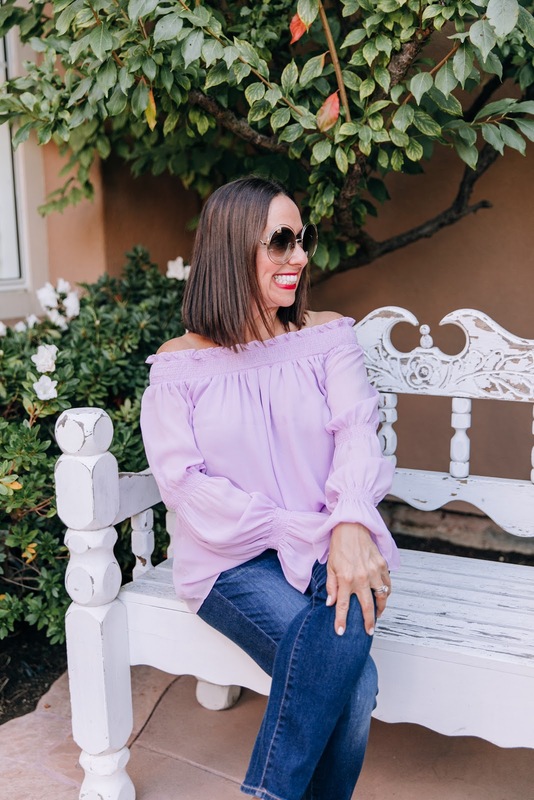 I love adding color to my fall wardrobe and purple is the perfect pop. 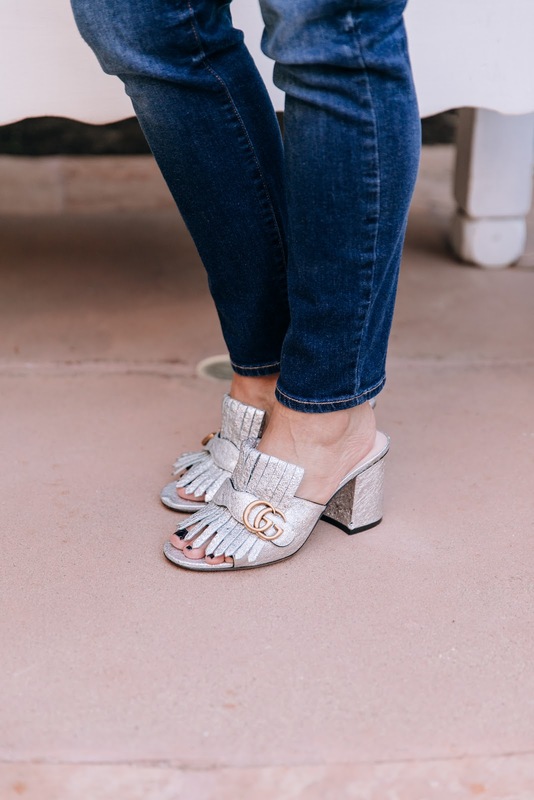 I also picked up these amazing silver Gucci shoes, which I must say I'm obsessed with. And remember, metallics go with EVERYTHING!!! You absolutely need some kind of metallic shoe for fall. It just gives some pizzazz to any ordinary look. What are your favorite colors to wear in the fall? Thanks to Kara Nixon for photos. You can shop this look by clicking on the links above. Happy Reading!!!! I was lucky enough to be treated to a wonderful evening with CALTY, which is the Toyota design studio. It was such an amazing experience. We toured this facility and it was so interesting to see how the progression of car design has changed so much through the years. I love this because my husband's all time favorite car is the Toyota Celica (he has owned two and one was his very first car ever). I loved how we also were able to watch one of the artists at work!! He was so talented. We also were shown all about the new Toyota Avalon and all of it's amazing features. We then left the CALTY studio and were off to a delicious dinner at one of my favorite Newport Beach restaurants, Bayside, followed by a fun painting class by Timree (one of my favorites girlies). And how cute that we painted the new Toyota Avalon, right? I wanted to thank Toyota for this amazing experience. I had the best time, with the best company and learned so much!!!! I just hosted the most amazing shopping event at Vici!!! I love this store front and it has a great online store too. You have to check it out. Stay tuned for a post about this event coming soon!!! This adorable dress is from Vici. I am absolutely obsessed with this print. And the fit is so flattering!!! 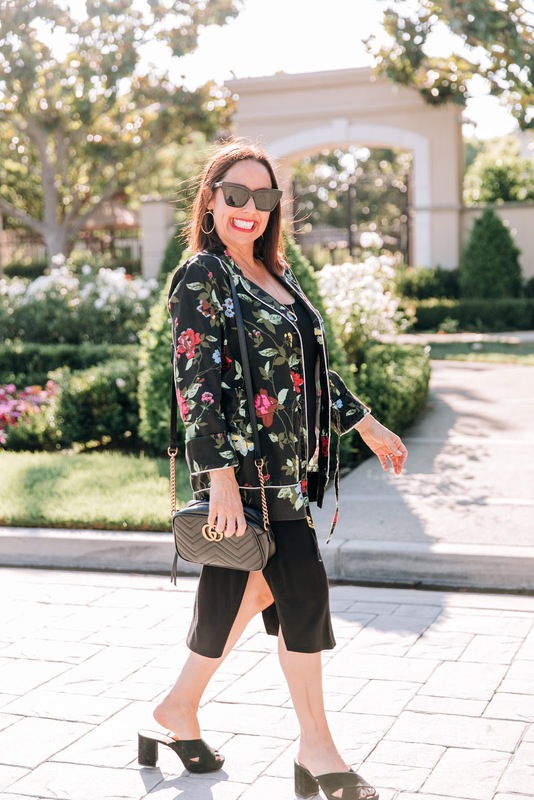 I love florals all year long, and I have linked some great options for the fall!! 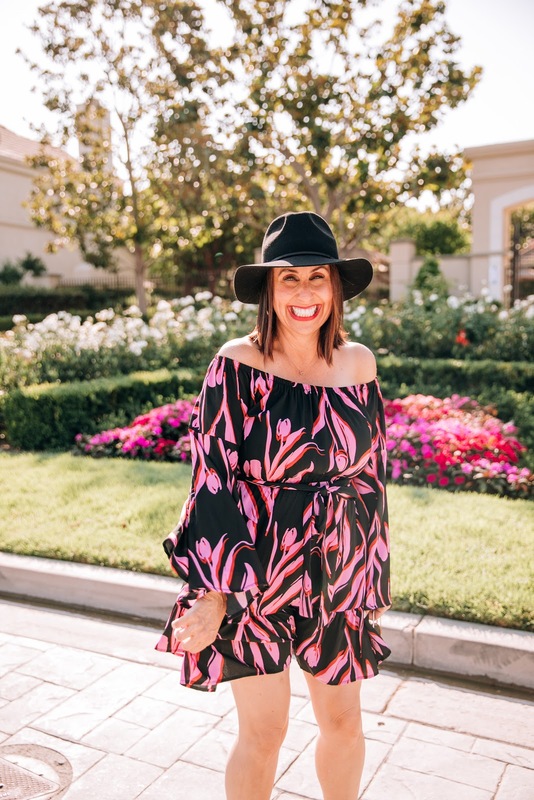 I added this adorable floppy hat and my patent leather booties (OBSESSED) and I was ready for a night out on the town (well maybe just a great dinner with my hubby, which is always my favorite). This dress is the perfect date dress, don't you think? But I have also worn it to lunch with the girls. So ladies, invest in a fun floral printed dress. It will be so versatile and I promise you will wear it all the time. Thanks to Kara Nixon for photos. You can shop this look by clicking on the links above. Happy Reading!!!! Don't you just love a great floral print? 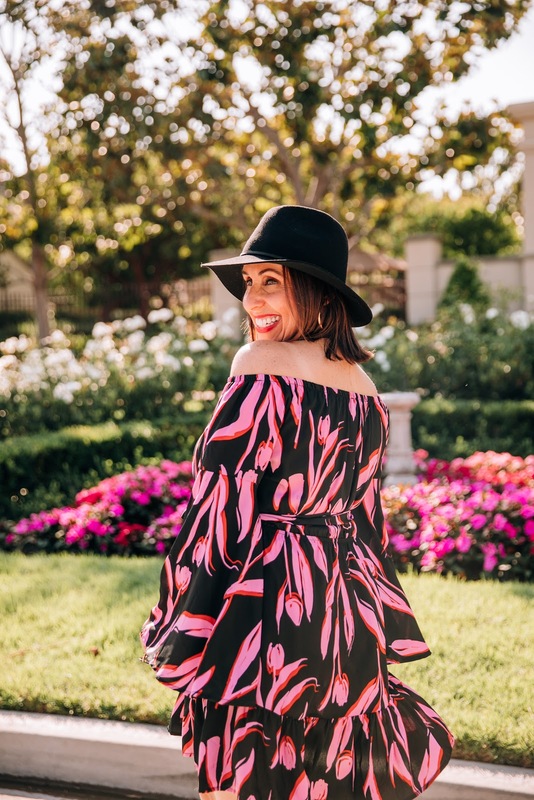 I do and I love incorporating florals on shirts, pants and jackets like this cute one. Isn't this just the best print? 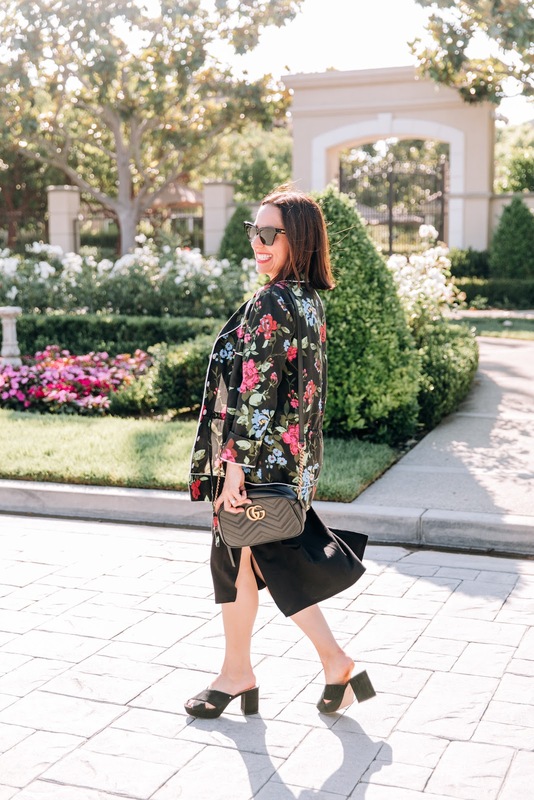 I paired this cute floral jacket over this perfect little black dress. 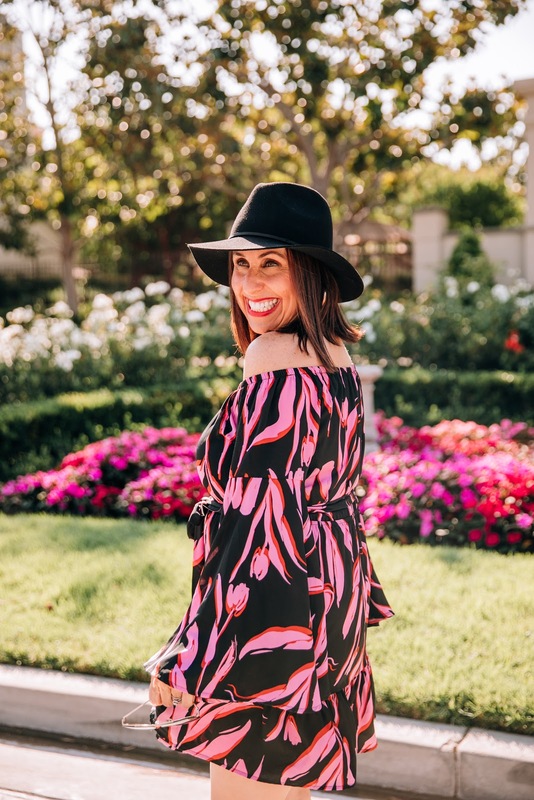 This style LBD is something every fashion girl needs in her wardrobe. It is the perfect piece for layering. 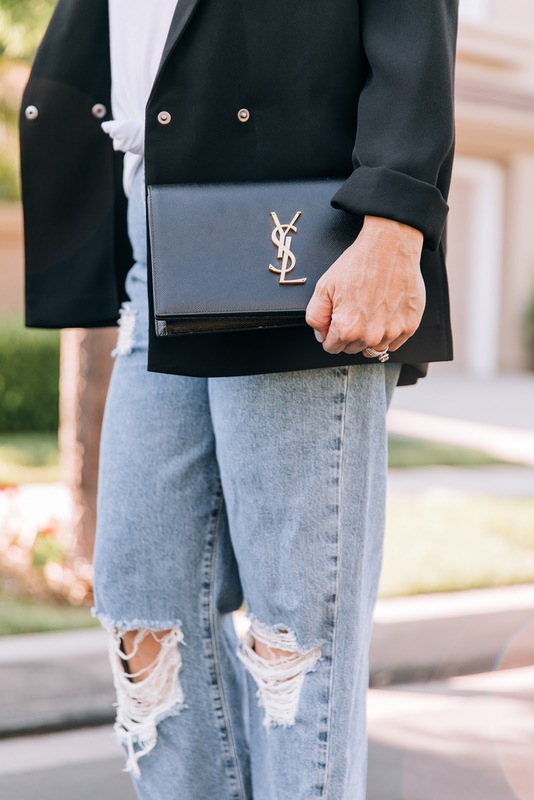 I added my go to black mules and some chic gold jewelry and my outfit was complete. 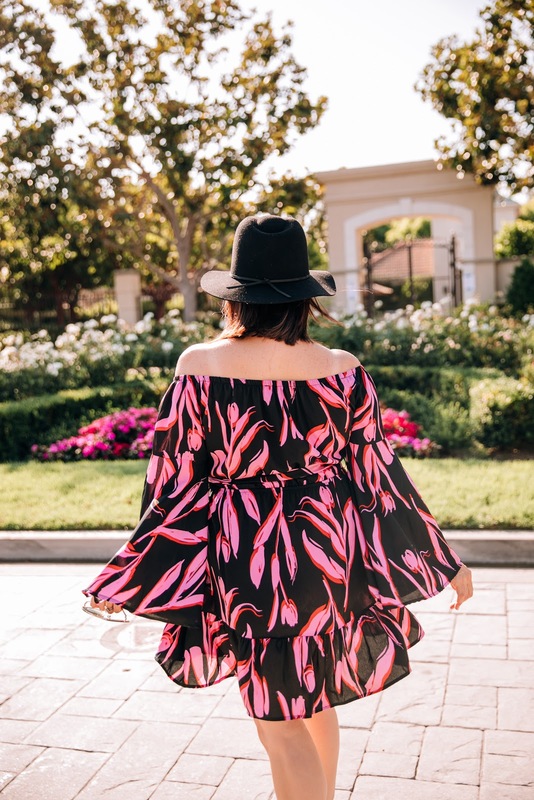 What is your favorite way to wear florals? Thanks to Kara Nixon for photos. You can shop this look by clicking on the links above. Happy Reading!!! I can't believe it's starting to finally feel like fall. I love the fall!!! It's my favorite time of year. 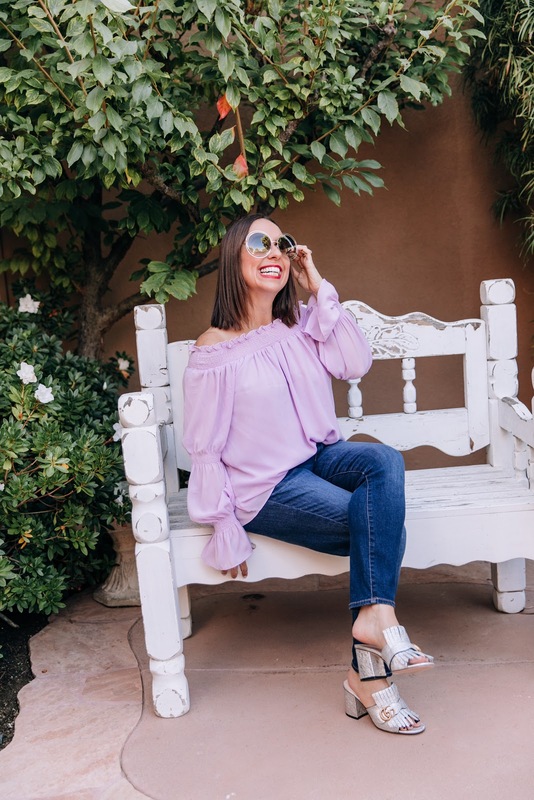 And I wanted to share some of my favorite tops of the season!!! Every girl needs a fruit inspired top for fall right? How cute is this cherry top? I love it half tucked into a perfect pair of skinnies. 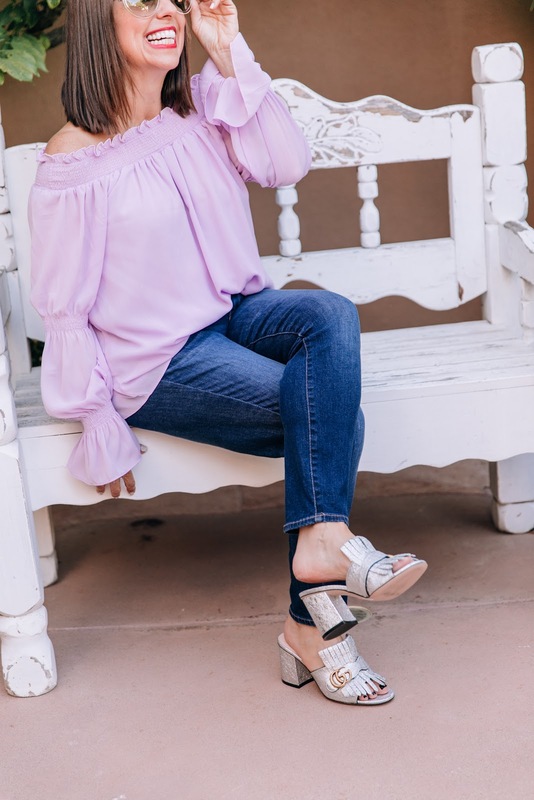 I've linked some of my favorite tops similar here and I love this print too. Leopard tops are so on trend this season and you so need one. This one is one of my faves for the fall. Every fashion girl needs a striped top for fall for sure. I love this style so much. This one is also super fun. I love wearing star prints all year long. This button down is perfect for there fall. 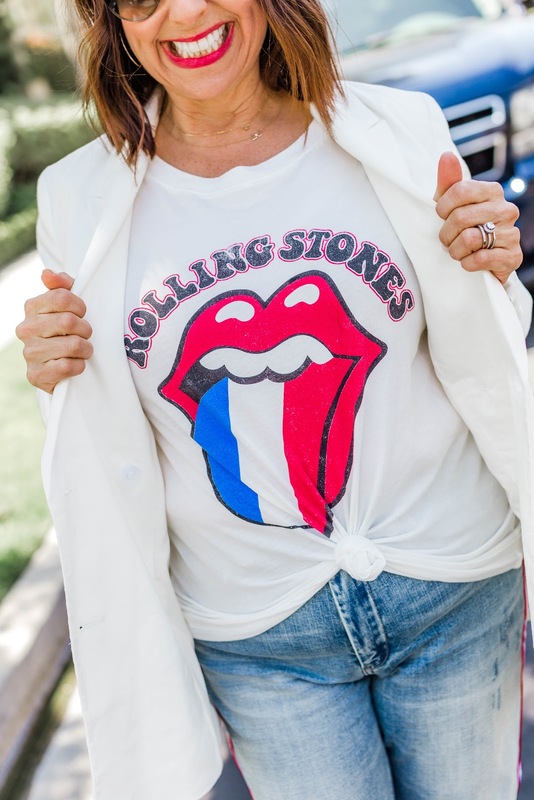 And can we talk about graphic tees? They are not going anywhere and yes you need one for fall. 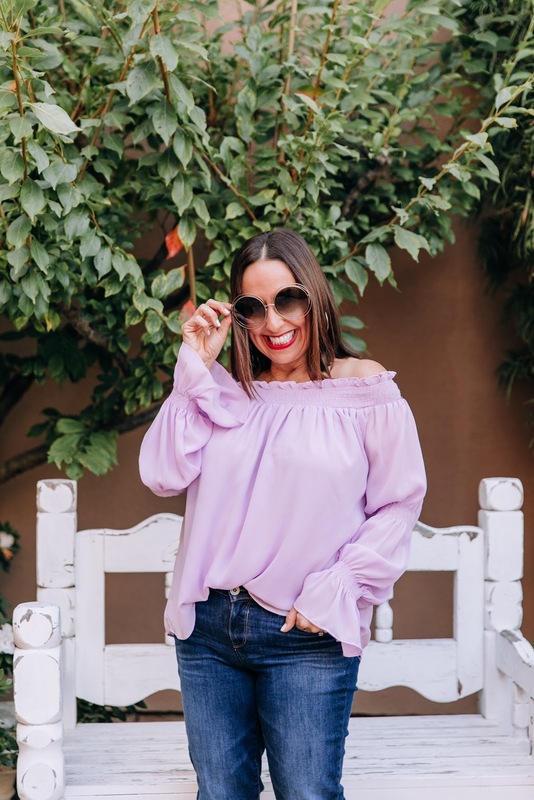 I can't wait to hear about your favorite tops for Fall. You can shop these looks by clicking on the links above. Happy Reading!!! !